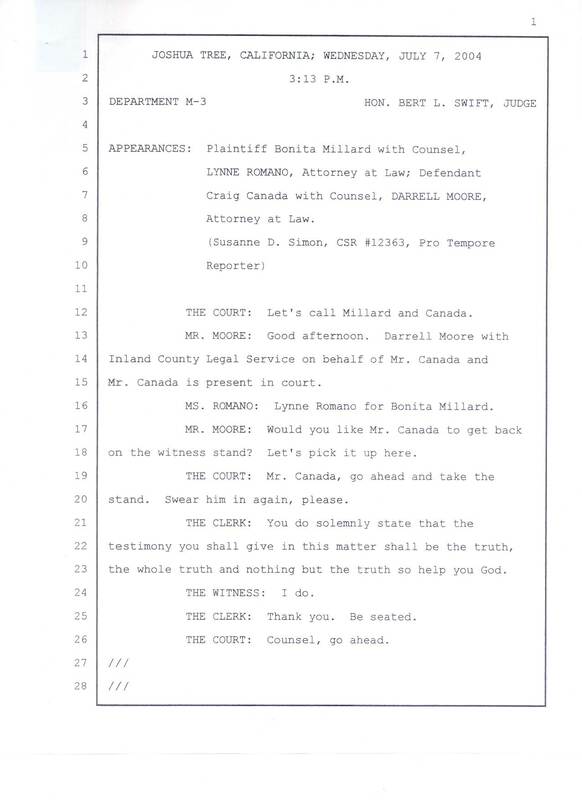 12 		THE COURT: Let's call Millard and Canada. 15 Mr. Canada is present in court. 16 		MS. ROMANO: Lynne Romano for Bonita Millard. 18 on the witness stand? Let's pick it up here. 20 stand. Swear him in again, please. 23 the whole truth and nothing but the truth so help you God. 24 		THE WITNESS: I do. 25 		THE CLERK: Thank you. Be seated. 26 		THE COURT: Counselor go ahead.